The days are getting shorter and the air is getting colder, but that doesn’t mean you have to trade in the running trails for the treadmill. 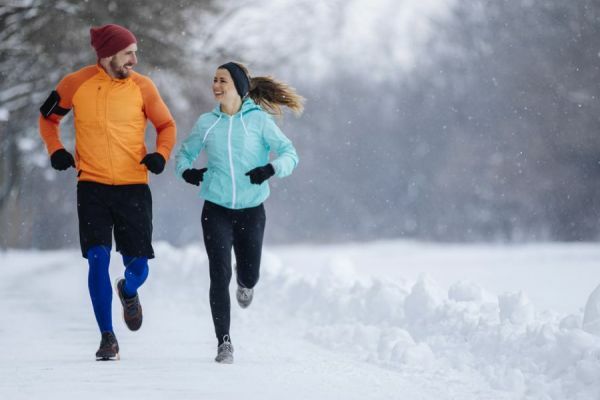 Those that keep up their outdoor running through the chilly winter months tend to perform better come race season – and you can burn more calories just trying to stay warm too! Keep your head, hands, and feet covered: A significant amount of heat loss comes from our extremities. Opt for clothing that has zippers around the neck/underarms so that you can unzip if you get too warm. Hat, gloves, and even a face cover are a must for those bitterly cold runs! Winter running is a different beast entirely, but as long as you follow these tips, you’ll be prepared to tackle it! Lace up, stay warm, and keep running until the snow melts…eventually!